When venturing into the rocky road that is the industry of business, it’s useful to have some valuable assets in your back pocket at all times. Those assets are the tips, tricks, and experiences of those before you. 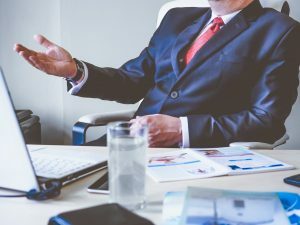 Knowing of the best techniques to employ will help you be successful when considering changing your career to “business owner.” No matter what industry you’re planning to join, these next tips will help you to be the best leader you can be. A big part of being successful is knowing where you’re going. Having a clear vision of where you want your business to go will help you stay focused and keep you motivated when the path gets rocky. There will always be misadventures, headaches, and mistakes when leading any business no matter how many times you’ve been in the position. However, using your vision as a guide to get back on your path and move forward will help immensely. You need to build a business plan, if even only a few pages. Additionally, you want to have a marketing outline set. These are the basics for success. Of course, you will have to be flexible, but having the core of your business model built out will help you strategize efficiently. If you’ve never made a business plan, or know very little about being a business owner, then perhaps you want to open a franchise. Franchise opportunities come with an established and successful business model for you to follow. In addition, good franchisors will continuously help to guide and train you. Whatever you are great at, you should stick to doing that job. Don’t try to do every single job in the business. Hire people who are experts at the job you’re not so great at. Even if you are skilled within both areas, you still need to avoid overworking yourself. Hiring someone or contracting a task out will end up saving you time and money in the long run. Especially when starting out, time will be the commodity that you’re trying to get more and more of. You’ll wish you had more hours in the day to finish everything. But, you can gain more time by leveraging your “down time.” If you’re waiting at the doctor’s office, sitting in traffic, or waiting for the mechanic, you can make some necessary phone calls, crunch some numbers, do some research, or whatever task is accessible and important. You don’t want to burn out, but don’t be afraid to get stuff done in short pockets of the day where you would otherwise do nothing. This way you’ll have more time at the end of the day to relax. To be a successful business owner, you have to have a lot of courage and perseverance. The job will consist of plenty of hard work and headaches, but the final product will be a career that you love and are proud of.